Do you dream of a career associated with Clinton Anderson and Downunder Horsemanship, helping others develop safe and trusting partnerships with their horses? Innovation, inspiration and instruction are core defining principles of Downunder Horsemanship, and in keeping with them, Clinton created the Clinician Academy. The Academy presents two tracks of study for highly motivated individuals to receive Clinton’s backing to teach the Method®. Clinton is offering the opportunity for passionate followers of Downunder Horsemanship to become Method Ambassadors and for a select group of horsemen to become Professional Clinicians and enjoy the prestige, profile and benefits of the marketing power that come with his brand of horsemanship. Only the best of the best receive certification to teach the Method®. Horsemen who receive Clinton’s seal of approval are loyal, hard-working, ambitious and personable, have a natural ability with horses and a desire to share the Method® with horse owners. At the ranch, Academy students live and breathe Clinton’s approach to horsemanship and are tested over their knowledge of the Method® daily. Learn how you can make your dream of instructing the Method® and helping horse owners realize their full potential come true. At each level of certification, Clinton ensures prospective candidates meet his high standards and possess Downunder Horsemanship’s four core values: loyal, hard-working, ambitious and personable. The individuals he selects for certification represent a committed group of horsemen whom he entrusts to teach the Method and inspire horse enthusiasts everywhere. You must be able to clearly instruct others in Clinton’s easy-to-understand manner. You must know the philosophy and theory behind the Method®. You must be passionate about Downunder Horsemanship and sharing the Method®. The Method Ambassador program is designed for horsemen passionate about sharing the Method® at a local level, and the Professional Clinician program is for those serious about building a career as a nationally recognized clinician. Professional Clinicians represent the ultimate level of a Clinton Anderson Clinician. The 2019 Clinician Academy will begin on April 29th and will conclude on June 14th. The dates of the Academy will vary year to year, and will be announced when Downunder Horsemanship’s yearly event schedule is released, which happens in the fall prior to the start of the new year. Professional Clinicians learn the Fundamentals, Intermediate, Advanced, Colt Starting, and Foal Training levels of the Method® in depth at the Downunder Horsemanship Ranch. 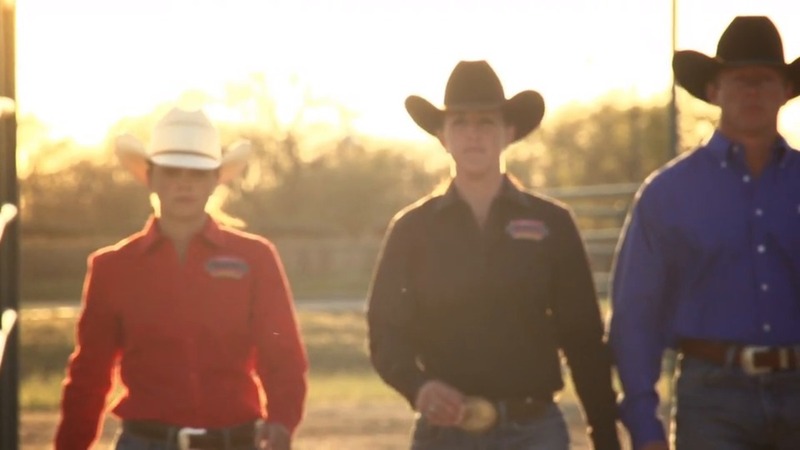 Clinicians receive Clinton’s and Downunder Horsemanship’s full support and marketing efforts to build their careers. Method Ambassadors spend 7 weeks at the Downunder Horsemanship Ranch training two of their personal horses through the Fundamentals level of the Method®. Upon successfully completing the course, they receive backing from Clinton and Downunder Horsemanship to share the Method® on a local level. Why did Clinton select these individuals? How did they become a clinician? What can a Professional Clinician do for me? When are clinicians available for lessons and clinics? To schedule a three-day clinic or private lesson, please contact the clinician directly. All of our clinicians’ contact information can be found at certifiedclinician.com. Private lessons are a great opportunity to receive personalized instruction from a clinician. You may invite a clinician to your home to work with you one on one. Or, you can split the cost with a group of friends. In addition to the cost of instruction, the host will be responsible for all of the clinician’s costs, including travel expenses, meals and lodging. Private lessons are limited to 8 participants to ensure that each person gets specialized training in the area that they wish. All private lessons must be scheduled for a three-day minimum. Clinton is so confident that you’ll be happy with the clinician’s instruction that he’s offering a money-back guarantee on all private lessons. If you’re not satisfied with the instruction you receive, you’ll be given a full refund. What is a three-day Fundamentals Clinic? At three-day Fundamentals Clinics, you’ll receive instruction from the clinician in a group setting. There will be 11 other participants in the clinic. Topics covered throughout the clinic will come straight from Downunder Horsemanship’s Fundamentals Series. To schedule a three-day Fundamentals Clinic in your area, please contact a clinician directly. Where are clinician clinics held? Clinicians come to you! You no longer have to worry about the hassle of hauling your horse long distances, expensive hotel bills or the price of fuel. Depending on the type of instruction you choose, the clinicians will come right to your house or to your area. Just contact them directly to schedule a time. Can I schedule my private lesson or three-day Fundamentals Clinic with a Professional Clinician through the Downunder Horsemanship office? Each clinician handles his/her own scheduling. Please contact the clinician of your choice directly. What equipment do I need to bring to a private lesson or 3-day Fundamentals Clinic? Below is a checklist of the equipment you need to have in order to participate in a private lesson or a three-day Fundamentals Clinic. Riding boots. Proper riding boots with a heel are required. No flip flops, tennis shoes or footwear other than approved riding boots will be allowed in the arena. Bridle with snaffle bit and chin strap. Mecate reins or loop reins with a spanker are highly recommended. No SHANK BITS. Well-fitting saddle and saddle pad with correctly sized girth. Are there any prerequisites for attending a three-day Fundamentals Clinic? In order to get the most out of your clinic experience, we recommend you are familiar with the Fundamentals level of the Method®. The more familiar you are with the Fundamentals exercises, the more you’ll get out of the clinic and the more improvement you’ll see from both you and your horse. All of the exercises and information the clinicians will cover in the three-day clinic can be found on the Fundamentals series. Do the clinicians train horses for the public? Please contact the individual clinicians directly for information regarding the training of personal horses. How do I become a Clinton Anderson Professional Clinician? Learn how to enroll in the Clinton Anderson Academy and start the process of becoming a Professional Clinician by visiting our website www.clintonandersonacademy.com. When does the Clinician Academy begin? The 2019 Clinician Academy begins on April 29 and concludes on June 14. The start date for the Academy varies each year and is announced when Downunder Horsemanship’s yearly event schedule is released, which is generally in the fall of each year. What are my options when applying to the Academy? All horsemen who apply to the Academy will begin the Method Ambassador program. If you complete the Academy, excelled in your training and horsemanship skills, and exhibit the four core values of Downunder Horsemanship, you may continue your training to become a Professional Clinician by enrolling in five separate four-week instructional blocks that cover Intermediate, Advanced, Colt Starting, Foal Training, and Trick Training. You will be required to demonstrate mastery through either written theory exams or practical exams in each of the five instructional blocks to be recognized as a Professional Clinician. Can I apply if I’m only 17 years old right now, but I’ll be 18 before the Academy starts? Unfortunately, Downunder Horsemanship cannot accept applications from anyone under the age of 18. You will need to wait until you are 18-years of age before applying. If I don’t make one of the participation spots for this year’s Academy, can I sign up ahead of time for next year’s program? Yes. We encourage you to submit your completed Academy Application and pay the Application Fee and Initial Payment as soon as possible to secure your slot in the Academy. THE APPLICATION FEE, INITIAL PAYMENT, AND ANY PAYMENT TOWARDS THE ACADEMY FEE ARE NON-REFUNDABLE REGARDLESS OF THE CIRCUMSTANCES. At what point is my money non-refundable? Once we receive your Academy Application, Application Fee, and Initial Payment, Downunder Horsemanship will send you an Academy Agreement to review and sign. Once Downunder Horsemanship receives your signed Academy Agreement, you will be sent written confirmation that you have secured participation in the Academy and your money will then be non-refundable. Applicants have 14 days from the date of receipt of the Academy Agreement to return the signed document or the slot will be released to the next applicant. Because Downunder Horsemanship can only accommodate a select number of participants a year, the Application Fee and any payments towards the Academy Fee are non-refundable to ensure only those committed to participating in the Academy are guaranteed the opportunity to participate. Downunder Horsemanship limits the number of participants in the Academy to ensure that each participant receives the individualized attention necessary to learn the Method. How long is the Academy program? The Method Ambassador program is seven weeks in length. Each of the five specialized instructional blocks needed in order to become a Professional Clinician are four weeks in length. What are the housing options available to me during the Academy? Downunder Horsemanship leases RV spots to participants who desire to live on the Ranch while participating in the Academy. Please contact Downunder Horsemanship for the RV Space Rental Agreement after you receive written confirmation of your participation in the Academy. Stephenville, Texas also offers numerous housing options. Participants may lease an apartment, home or reside in a short-term hotel. Participants are required to secure their own housing. What are the typical instructional hours during the Academy? During the seven-week Method Ambassador program, all participants receive four hours of instruction, five days a week. During each of the four-week instructional blocks to earn the Professional Clinician certification, participants will receive a two-hour lesson three times per week. If after the first week or so of the Academy I decide that the program isn’t right for me, can I leave? Yes, you may leave the Academy at any time; however, your payment of the Application Fee and Academy Fee are non-refundable. Absolutely no exceptions will be made, regardless of the circumstances. must be currently sound and have no history of lameness. Downunder Horsemanship VERY HIGHLY recommends that your horses come in shod on all four feet. This helps to prevent horses from going lame because of sore feet. We do a lot of riding outside on hard terrain, and most horses that start the program barefoot will get sore. During the five instructional blocks to earn your Professional Clinician certification, participants may train up to five horses in each instruction block and are encouraged to bring at least two horses to work with. Participants are required to provide their own horses and equipment for the Intermediate and Advanced Blocks as well as the Trick Training Block. Downunder Horsemanship will provide the horses for the Colt Starting and Foal Training Blocks. Downunder Horsemanship highly discourages participants from bringing any type of gaited horse. Every horse has a job he is bred to do—work cows, slide to a stop, pull carts, etc. Gaited horses are bred to go fast in a straight line. A large part of the Method is teaching horses to become soft and supple throughout their whole bodies. Gaited horses are not designed to be supple throughout their bodies and are not designed to be athletic enough to do maneuvers such as rollbacks, circles or tight turns. Can you take a gaited horse through the Method? Absolutely, we’ve taken gaited horses through the Method here at the Ranch; but, when you’re first learning the Method, it would be wise to choose horses that will help you succeed in your training, rather than make your training more difficult. If one of my horses goes lame, can I swap him out for another horse? No. The first seven weeks of the Academy are dedicated to teaching you how to train a horse through the Fundamentals level of the Method. All the horses will progress through the training at the same rate. If a horse goes lame after three weeks of training, you will not have time to bring a new horse up to speed with the program. This is why we require all participants to bring two horses. If one horse goes lame, you’ll still have another horse to continue working with and test with. May I use someone else’s horses for the Academy? Yes, but it is STRONGLY DISCOURAGED and should be avoided if possible. Participants must understand the HUGE risk they are assuming by bringing someone else’s horse to the Academy. If the owner of the horse decides to back out at the last minute or pull the horse from training halfway through the Academy, you’re out of luck. Downunder Horsemanship will not refund any payments made to participate in the Academy. If you do make the unwise and risky decision to bring someone else’s horse to the program, the owner of the horse is not permitted at the ranch to watch the training classes. Further, we highly encourage you to partner with someone who has your best interests at heart. That means that you know each other personally, they are familiar with how you work with horses and care for them, they are familiar with Clinton and the Method, and perhaps most importantly, they want you to succeed in the program and have a successful future as a trainer. Choosing to work with a person who has no interest in your success in the program or your future as a trainer and/or is looking for a free or discounted option to get their horse trained will get you into trouble EVERY SINGLE TIME. Do not do it. If an owner does not understand or is not happy with how you train or care for their horse—even if you do a great job—they can ruin your name and career before it even gets started. The best option is to buy a couple of inexpensive horses to use for the program so that you’re the sole owner and can avoid the inherent risks that come with working with someone else’s horse. What paperwork will my horses need? All horses need a current Coggins (within the last year) and a Health Certificate (within the last 30 days). Do I need to bring my own tack or will it be provided for me? Two sets of legacy boots (hind). It is also HIGHLY recommended that you bring three girths of different sizes. Horses will lose weight with the intense workload. What else do I need to bring for my horse? Is there a fee for board or is that included? Participants may board their horses on the ranch for no additional fee, subject to the terms of the Academy Agreement and Equine Boarding Agreement. You are solely responsible for the care and welfare of your horses, including feeding and watering your horse as well as cleaning stalls, doctoring, and all necessary action to ensure the safety and welfare of your horse. How will I be expected to dress during the Academy training? Dress is casual. During the summer months, we highly recommend wearing lightweight, long-sleeve shirts and a straw hat to keep the sun off of you. Don’t forget the sunscreen! Wear comfortable boots that have a heel. We also recommend bringing a rain slicker and pair of mud boots for when it rains. Yes, you will need spurs with a rowel. If you are participating in the Professional Clinician program, you must order a pair of spurs from Tom Balding, no later than 60-days before the start of the instructional blocks to ensure delivery prior to the start of training. The spurs cost about $350, but are one of the most important investments you will make in your career. We are very picky about what kind of spurs you wear because it’s one of the most important pieces of equipment you have. Spurs can mean the difference between getting your job done well and not getting it done at all. Participants in the Method Ambassadors program may order Tom Balding spurs, but are not required to do so. Are my family and friends allowed to come to the Ranch with me to watch me train and work my horses? Your friends and family are welcome to visit you on the weekends (Saturday and Sunday only) if training sessions are not being held. They are not allowed on the ranch during the week or anytime that training sessions are being held. Any visitors who disrupt training or behave in a manner Downunder Horsemanship deems inappropriate or unwelcome, are prohibited from being on ranch property at any time. What happens at the end of the seven weeks? If you score at least a B+ on the theory test as well as the practical exam and consistently demonstrate the four core values, you will be recognized by Downunder Horsemanship as a Method Ambassador. This recognition is not, however, guaranteed. Not everyone who participates in the Academy successfully completes the Method Ambassador program. If you receive certification as a Method Ambassador, you may elect to participate in the Professional Clinician program. However, not every Method Ambassador goes on to become a Professional Clinician. Only those Method Ambassadors who excelled in their training and horsemanship skills and exhibit the four core values of Downunder Horsemanship may continue their training towards Professional Clinicians. All participants will be tested on their knowledge of Downunder Horsemanship’s horsemanship philosophy. To demonstrate master, you must score at least a B+. All participants will also take a practical exam during the last week of the Academy. You will be evaluated on every Fundamentals exercise with one of your horses and must earn at least a B+ to be recognized as a Method Ambassador. Those training for Professional Clinician status will take two written theory exams as well as undergo practical exams to evaluate their mastery of the skills taught in the Colt Starting, Foal Training, and Trick Training blocks. Method Ambassadors and Professional Clinicians pay the a licensing fee each year in order to stay certified to teach the Method. Does the Academy Fee include the first year’s licensing fee? No. Your licensing fee is due June of each year. Is additional training required after I complete the Method Ambassador or Professional Clinician program? Yes, both Method Ambassadors and Professional Clinicians are required to assist Downunder Horsemanship at one clinic each year. These clinics provide you the opportunity to increase your horsemanship knowledge. If I become a Method Ambassador, am I required to teach? No, there’s no requirement to teach the public after receiving the ambassador training. Many individuals have participated in the Academy because they want one-on-one instruction from Clinton for an extended period of time. What can I do once I’m a Method Ambassador? You may instruct private lessons, teach small clinics, and train horses for the public. What can I do once I’m a Professional Clinician? You may instruct private lessons, teach clinics, train horses for the public, work with Clinton in the arena at tours and clinics, and teach the whole Method, including Intermediate, Advanced, Foal Training, Colt Starting, and Trick Training. Does Downunder Horsemanship help promote me? Yes, Method Ambassadors may use Clinton’s name to promote themselves, promote themselves at Walkabout Events, and purchase marketing materials, such as business cards, shirts, and posters, from the Downunder Horsemanship website. Downunder Horsemanship’s website will also include your photo and contact information and Downunder Horsemanship will publish a half-page profile in the No Worries Journal introducing you to club members and advertising your availability. Professional Clinicians may also use Clinton’s name to promote themselves and purchase marketing materials from Downunder Horsemanship. Downunder Horsemanship will also include photo, biography, videos, and clinic schedule on its website, advertise you as a Professional Clinician in every edition of the No Worries Journal, provide you the opportunity to promote yourself and work with Clinton in the arena at Walkabout Events, and air a commercial at the end of Clinton’s Downunder Horsemanship TV show encouraging viewers to contact you for private lessons and clinics. What is the best way I can prepare myself for the Academy so that I stand out from the crowd? There are two things that Downunder Horsemanship recommends doing to prepare yourself for the Academy. First, work with as many horses as possible through the Fundamentals. Every horse will teach you something different. Many people are really good at working with one particular horse that they’ve gotten to know inside and out, but when you give them a new horse to train, they struggle and fail. A good horseman knows how to adjust to working with a hot, reactive, sensitive type of a horse and also one that is lazy, dull, and disrespectful. The more feel, timing and experience you develop before arriving at the Academy, the more likely you will succeed as a Method Ambassador. The second thing you can do is to study the Fundamentals Kit—know it, memorize it, and understand every word of it. There is a direct correlation between how well someone knows the Fundamentals and how successful they are during the Academy. So use any time you have before arriving at the ranch to study. A great tip is to record the Arena Mates and then listen to them over and over and over. The more you read it, hear it, and experience it, the more you’ll understand it and remember it. The application fee for the Clinician Academy is $16,000. To participate in the next seven-week training program, send a completed application to Downunder Horsemanship, along with $8,250 (half the application cost, plus a $250 processing fee). Only a select number of people are accepted per training session on a first-come, first-served basis. All money is non-refundable. Absolutely no exceptions. Fill out the form below or reach us at 888-287-7432.